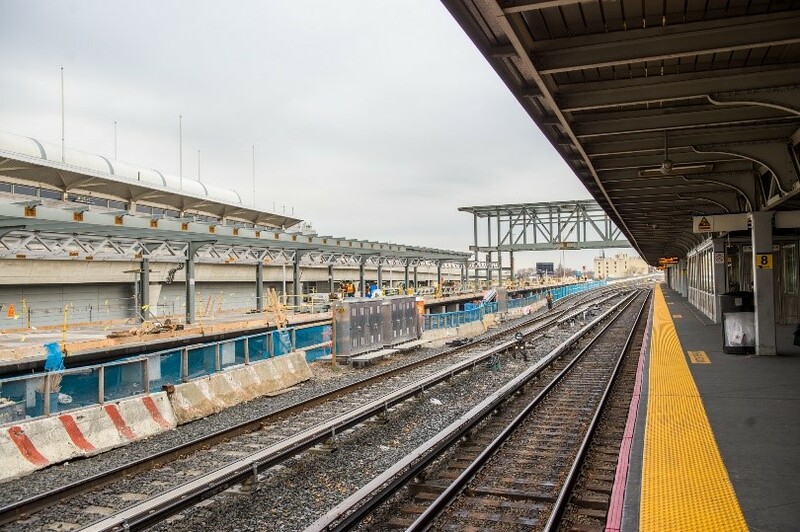 The construction of Platform-F, a major component of Phase 1 of the Jamaica Capacity Improvements project, is rapidly progressing. 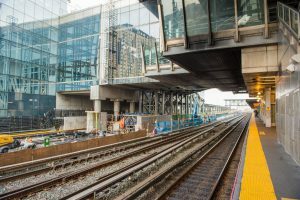 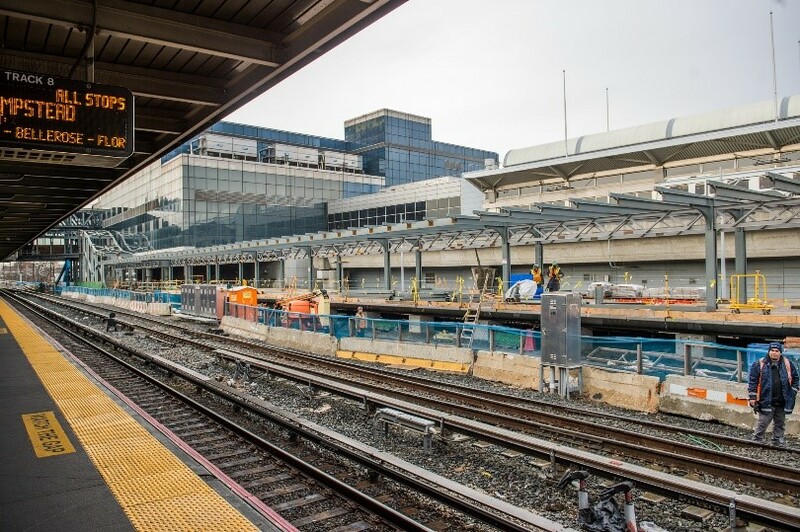 Following the utilization of several major weekend track outages, the project team successfully erected two new structures associated with the new platform, portal bridge and westerly bridge extension. The portal bridge will serve as the interface between the existing LIRR passenger mezzanine and the new platform and will improve passenger flow to and from the AirTrain Terminal. The westerly bridge extension extends an existing pedestrian bridge to connect Platform-F to the existing five platforms. 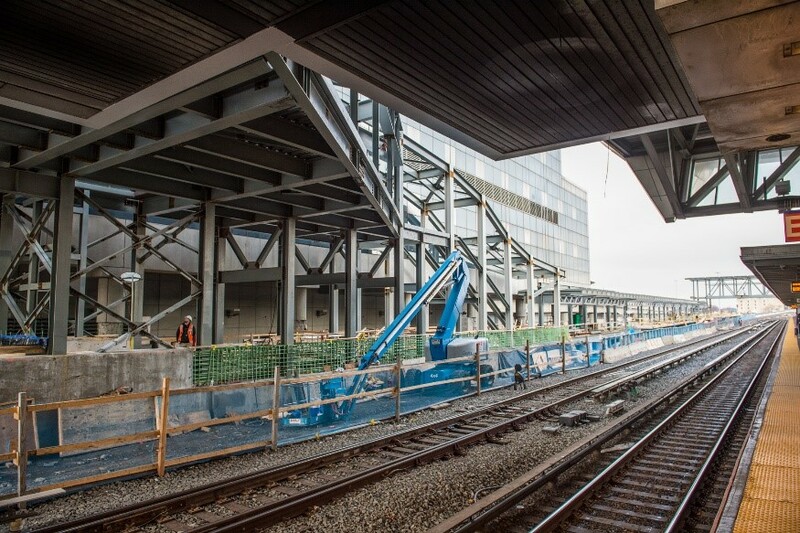 Over the next few months, the installation of a concrete platform, as well as the erection of canopy steel, will continue. The installation of architectural elements will follow the completion of the concrete platform and canopy steel erection.